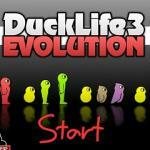 Welcome to Ducklife 4 - an attractive action game for everyone at game friv online! 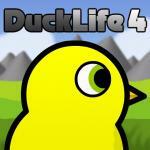 With Ducklife 4, the difficulty level has been increased significantly with more challenges and obstacles. This also really is a game that you should play and conquer to train the fast reaction in life. You still will experience 4 different models in the game: running, climbing, swimming and flying. However, you can face more difficulty in each level with many different characteristics. One more thing, you should pay attention to the energy column of the duck in the game. Try your best to get a lot of energy and be ready to start the race. I bet that you will laugh happily every time. Good luck! (Running Model) You are a fan of running games? Congratulations! Because the running model of this exciting action game will bring you many wonderful experiences in life. Your training program includes three mini games such as testing your speed, endurance and reactions. Especially, in this model, you can choose some outfits and accessories in the shop to help your duck become more beautiful. Don’t forget to use arrow keys to control your duck and overcome all dangerous obstacles and deadly traps on the way. 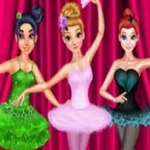 Try your best to win 3 mini games and gain as much energy as you can. Who will become champion? All will depend on your talent. Good luck at free friv Games! In the running model: With part 1 - Speed, your main mission is to jump into the holes and live as long as possible on the screen. Keep your eyes to jump correctly and collect tons of gold coins on the way. With part 2 - Endurance, do your best to avoid being hit by falling objects from the sky but still collecting many gold coins on the way. 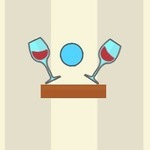 Note that, the objects will fall very quickly and unexpectedly, so you should observe carefully on the screen. With part 3 - Reaction, you have to use 1, 2, 3 and 4 keys to control your duck. Use all your skills to jump through dangerous obstacles and earn many gold coins in the game. OK! 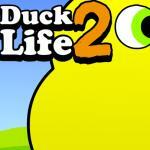 You have conquered the running model of Ducklife 4 at friv school Games. It is the wonderful time for you to explore many interesting experiences in the swimming model. Here, you still will have to experience three different mini games such as reactions, endurance and timing. Are you ready to conquer these mini games? Check it out at friv best Games. Note that, in this swimming model, you will face many challenges and dangerous obstacles in the river such as crocodiles, deadly traps or blocks. Especially, another important mission for you is to collect as many gold coins as possible and use them to upgrade your power in the game. Hurry up to join this interesting adventure right now! In the swimming model: I will give you some instructions to overcome 3 mini games easily. With the first part - Reactions, your important mission is to swim as far as possible and collect more gold coins in the river. Don’t get pushed off the screen or eaten and avoid being killed by crocodiles. With the second part, try your best to avoid hitting the cave walls. In particular, keep your hands to move on the safe road and collect many gold coins. Great! Welcome to the third part - Timing! All you need is to dive as deep as you can into the water and avoid being destroyed by obstacles on the way. 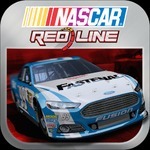 One more thing, you should move carefully because speed in the game is too fast and dangerous. Good luck at frivGames 2017! Great! Fly everywhere, fly everywhen and fly every time with the flying model of this exciting action game at friv game 2017. Like as the swimming model, you also will have to complete three different mini games such as reactions, endurance and accuracy to gain the final win in the game. To implement this mission, you will use the arrow keys to control your duck according to your instructions. Pay attention to avoid obstacles that will appear continuously in the sky and get as much energy as possible on the way. It sounds very funny, right? Experience three attractive missions right now! Warning!!! Speed in the flying mode is very fast and dangerous, so keep your eyes to observe wisely and find a reasonable strategy in the game. Part 1 - Endurance: Control your duck wisely and help it eat many items to get more energy and fly higher in the sky. 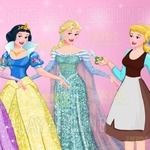 Hurry up to collect gold coins and complete part 1 in the shortest time. Part 2 - Reactions: To pass through this part, use all your skills to help the duck fly its path, overcome obstacles and earn more gold coins. Try your best not to hit anything on the way and observe the instructions in the game. Part 3 - Accuracy: Your biggest mission is to aim and shoot the cannon in the middle of the target and get more coins. Have fun at game friv! Have you ever climbed? A mountain with white snow and lovely animals are waiting for you at friv school Games. 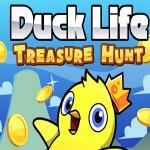 Ready to show off your climbing skills and put your name on the Leaderboard of Ducklife 4? To implement this dream, all you need is to conquer three different mini games in the climbing model such as speed, risk and timing. Be more careful with every move because this game’s speed is very fast and you can easily be destroyed in the path. Do your best to climb as far as possible and get tons of gold coins in the game. Jump into the climbing model now! OK! If you conquer this climbing model, you will become the champion of Ducklife 4. Are you ready to show off your talent? Everything is available at Games friv online. With part 1 - Speed: Hurry up to control your duck to climb up the ladder as fast as possible and get the highest score in the game. Part 2 - Risk: Use arrow keys to conquer a cave and escape safely in the game. Pay attention to warning signs on the way and avoid being destroyed in the cave. Part 3 - Reactions: Your biggest mission is to use the left and right keys to control your car to jump between each side of the canyon. 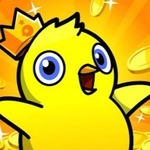 Try your best to collect tons of gold coins and complete this game in the shortest time. Great! You win!!!! Cheer!!! DuckLife 4 at friv 2017 is the fourth instalment in the fun and popular series of duck training games. In the game, your mission is to feed your duck, equip him with a variety of accessories and train him to be the champion racer. Choosing between a team of ducks or only one duck is up to you. Run, swim, fly, collect coins, compete other ducks in the racing tournaments and rock the leaderboard. It sounds fun, doesn’t it? What are you waiting for? Play at friv4 to play and prove to your friends you’re the best trainer on the planet. Enjoy!